If you are a frequent traveler, then you will know how important it is to be able to access your toiletries with ease. There are plenty of luggage options that can help you do this, from cheap toiletry bags to the more elegant, sophisticated option. One type of wash bag that is seeing a lot of popularity at the moment is the leather roll up wash bag. 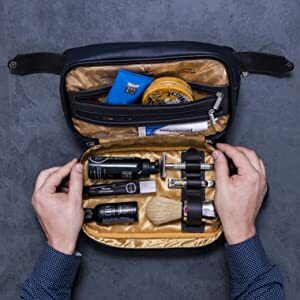 These types of wash bags are fantastic because they are not only very stylish and long lasting, but they are also very convenient for those who travel on a regular basis. 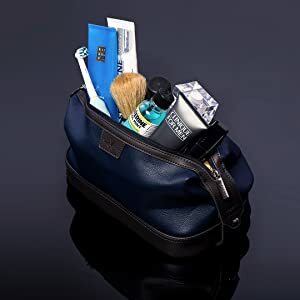 If you do have to travel frequently for business, then you should definitely consider this type of wash bag. To give you a better idea of some of the most popular leather roll up wash bags on the market right now, we have tested and reviewed some of our favourites. Please read on below for more information. Premium quality leather sourced from Southern German cattle. Water resistant so perfect for regular travel. Large detachable pocket which can be used seperately. Very easy to roll up with a strong buckle. Nice compartments to store everything separately. It is a little more expensive than some of the other options, but certainly worth the extra money. 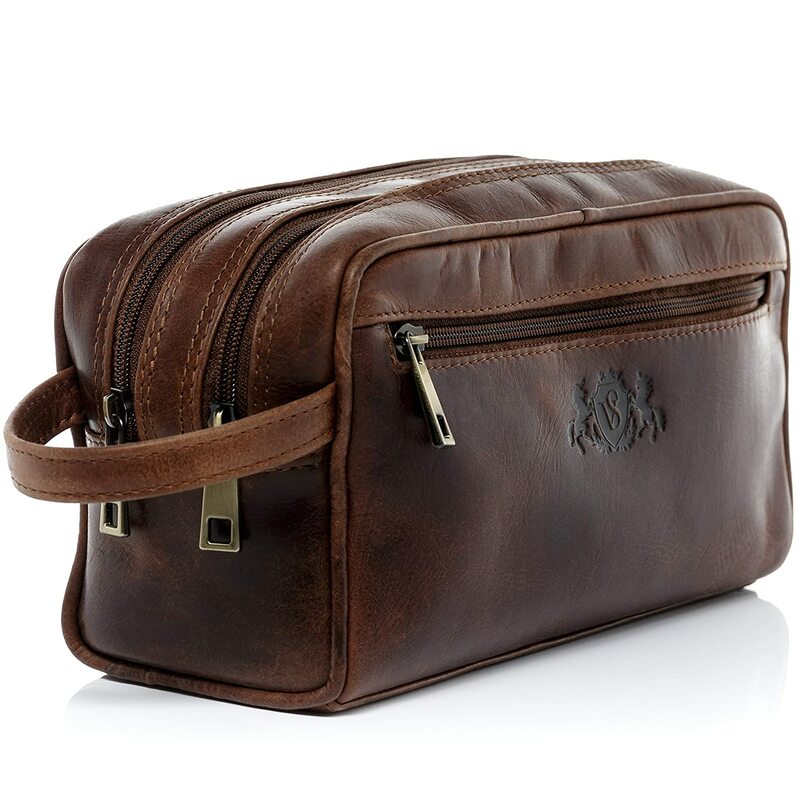 The one that we have chosen for our choice of the best hanging toiletry wash bag is this one from Luxury Trex. Having thoroughly put it through its paces, we have to say that we really were very impressed. First of all, let’s talk about the materials that it is made out of. The outside of this wash bag is made from premium quality leather which has been sourced from cattle from Southern Germany. A quick feel around the outside of the wash bag and it is very clear to tell that the leather is of an incredibly high quality. The stitching is perfect and the outside of the bag in general feels very well made. On the inside of the bag, you will find a canvas lining. Again, we really felt that this canvas was of a high quality and we were even more pleased when we learned that it was waterproof. There were a couple of points that we noticed that we feel really makes this wash bag stand out from the competition. First of all, there is a detachable pocket. 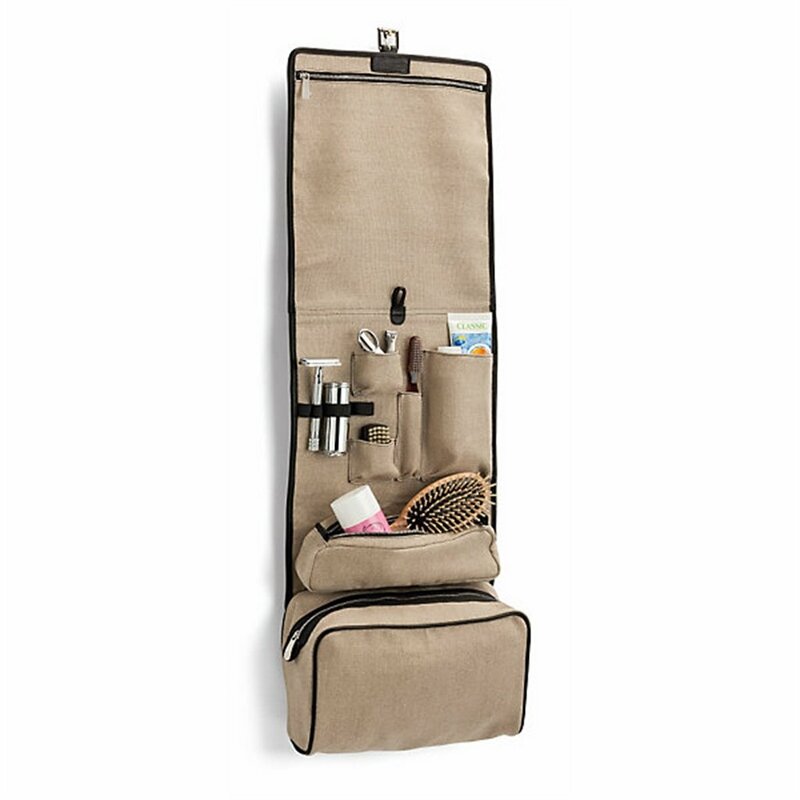 This is perfect if you need to store things separately and only need to access certain toiletries at one time. Another thing that we really liked with this one is that there are multiple compartments on the inside which allow you to store things like your toothbrush and razors separately. Everything fits neatly and securely and we had no issues at all. In terms of quality alone this wash bag is a winner, but combined with functionality, we had to put this Luxury Trex wash bag at the top of our list today. Plenty of space in the inside pockets. Stain and water resistant inner material. It is made from synthetic leather rather than genuine leather. The straps could be a little stronger. Next on our list is this wash bag from Vetelli. What initially drew us to this bag is the design. It has a really nice mix of brown and black which looks very stylish. The downside is that this is not genuine leather; it is synthetic. However, it is important to note that it is a high quality synthetic leather, it doesn’t feel cheap at all. The only thing that we felt could have been improved on the outside of this wash bag is the carrying straps. We felt that they were perhaps a little on the flimsy side and could do with strengthening. As long as you are careful, it shouldn’t cause any problems. Although there were these two negative aspects, there were also a lot of positives too. First of all, we liked how much space you get in the inside compartments. We were able to store all of our toiletries with no difficulties at all. There are also elastic holders on the inside which were strong enough to store things separately. The inside material of the wash bag is really nice. It is actually reinforced and you can definitely feel the strength. There is little to no risk of any tears occuring. As well as this, there is the added bonus that it is stain and water resistant. Overall, we were really happy with this one. Large compartments on the inside. There aren’t any elastic holders on the inside. 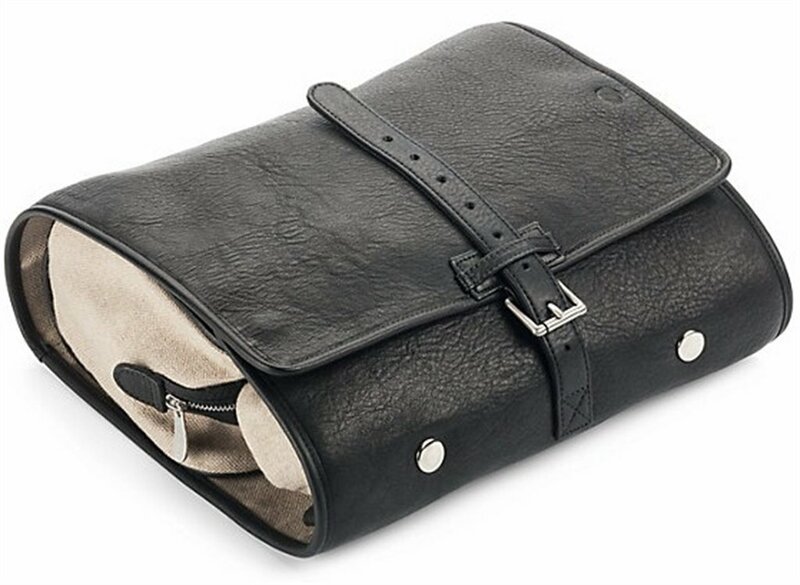 The final leather wash bag that we have decided to add to our list today is this one from Sid & Vain. What initially drew us to this one is the fact that it has a lovely vintage style. It is made from 100% authentic leather and has a really nice tan colour. You can really tell that the leather is of a high quality. It feels very durable indeed and the stitching is fantastic. One thing that we did notice is that you can actually rub away small scratches from the surface. There are three large compartments with this wash bag. Whilst there is plenty of space in them, this bag does lack elastic holders which we felt was a bit of a shame. However, you are able to separate all of your toiletries thanks to the separate compartments. We did feel that this wash bag was perhaps a little expensive considering it does lack a few basic features, but for a vintage style wash bag that is very stylish, this is definitely an option to consider. 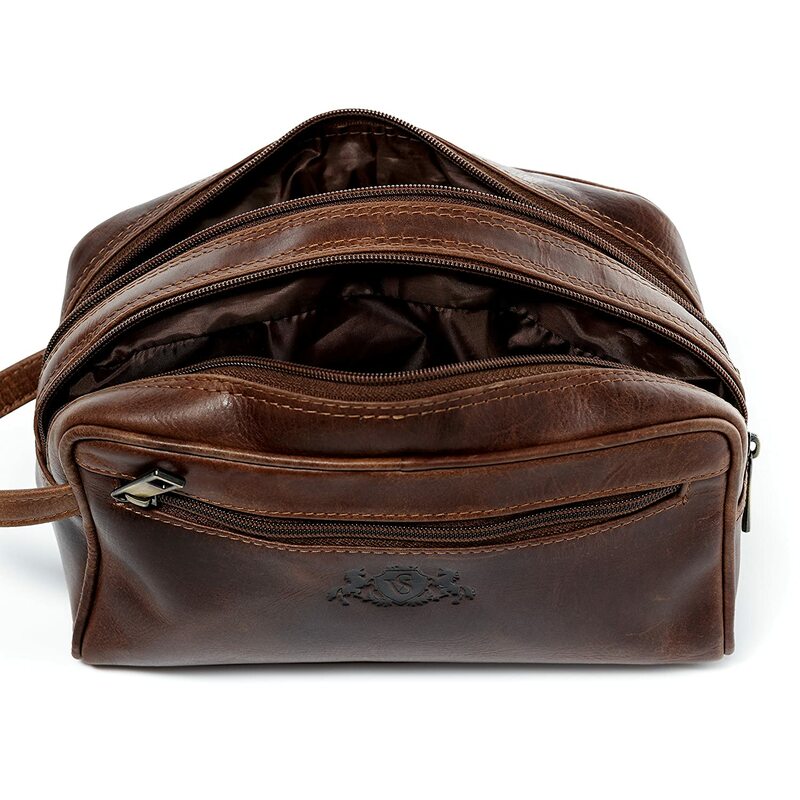 We hope that you now have a better idea of the best leather wash bag for your needs. There are some fantastic choices mentioned above and something to suit everyone.